Along with the ice and snow of Grand Rapids winters comes cold and flu season, particularly troublesome to business owners concerned about keeping their workforce healthy and their company thriving. Creating a clean, sanitary office environment noticeably reduces employee sick days — while also preventing the resulting loss of productivity and revenue. Plus, fewer sick days cuts down on the stress of other employees being forced to fill in for the positions of others. The Centers for Disease Control and Prevention estimate that up to 20% of Americans will catch the flu each year, and the close quarters and poor air circulation common in office buildings creates an ideal environment for bacteria and viruses to spread. 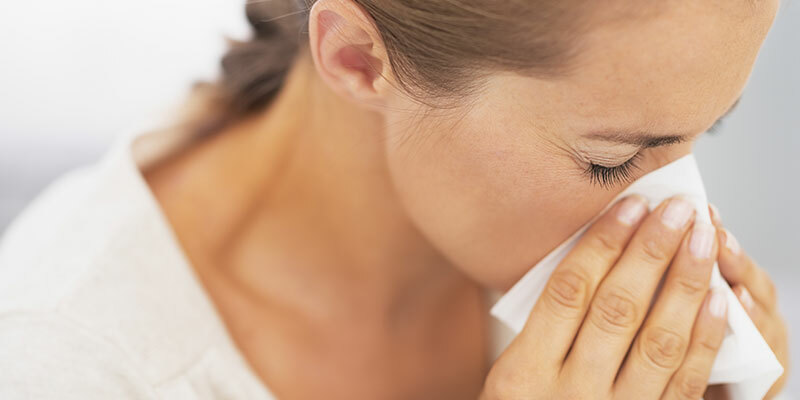 However, regularly cleaning and sanitizing your office minimizes the effects of the cold and flu. Just because a surface appears clean, this does not mean it actually is. To actually eliminate germs and bacteria, use the right cleaning products properly. For example, many disinfectants must sit on a surface for a few minutes before being wiped dry in order for them to work effectively. Target common touch points and shared items for more frequent cleanings. Things like doorknobs, light switches, handrails, faucets, phones, keyboards and mice collect the most germs. Clean these spots thoroughly and frequently. Train employees to help keep your office more sanitary. One way to do this is to provide disinfecting wipes, so they can sanitize areas they touch most often around their workspace. Make hand sanitizer available around the office, and make sure employees know that clean hands are the most important step to stopping the transfer of germs. Also encourage flu vaccinations, and promote clinics that offer free or affordable flu shots. Lastly, encourage sick employees that you would prefer if they stay home, and have options to work remotely. Less productivity will be lost with one person out sick than if they spread sickness to the rest of the office. As Benjamin Franklin said, “An ounce of prevention is worth a pound of cure.” Follow these tips to stop sickness at the door of your office, and keep employees healthy, happy and productive year-round. For more information about increasing employee productivity and reducing sick days, please contact the cleaning specialists at Clean Corners or call our office directly at 616.431.4670.